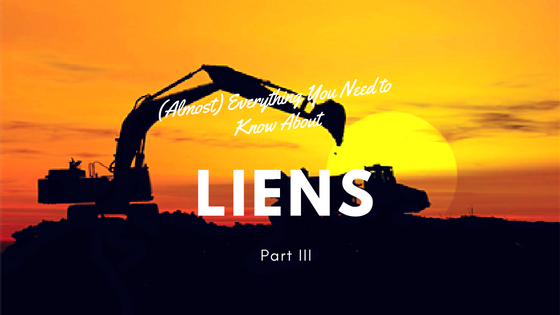 For the past couple of weeks, we’ve been going over the basics of liens, including what a mechanic’s lien is (Lien Rights Explained, Part I) and the preliminary notices often required to preserve lien rights (Lien Rights Explained, Part II). For the final part of this captivating trilogy, I want to go over the information that you need in order to actually file said lien. First of all, in order to file a lien, you need to have the project information. Who actually owns the property? Where is the property located? When did you last provide labor or materials on the job? These are all things you will need to know in order to file a valid lien. First of all, you have to make sure you have the right owner. This sounds obvious, but corporate ownership can be complicated: You might think “Well, this project is a Big Burger Barn, so the owner is Big Burger Barn”, but often, Big Burger Barn actually has a whole slew of corporate subsidiaries, and the real owner is ‘BBB Land Development, LLC’. Merely sending everything to Big Burger Barn may leave you with an invalid lien. Similarly, identifying the property is a two part process: There is the street address that you see listed on Google (i.e. 123 Big Burger Barn Road), but there’s also the legal address. In order to get the legal address, you will most likely to have to go talk to the county clerk. Also, you know that street address I just mentioned? It…may not exist yet if this is new construction. What can I say? If this stuff were fun and easy, there wouldn’t be lawyers who do nothing but this all day. Because of these potential challenges, there are two things that I want to stress: (1) Get as much project information as you can at the beginning of the job. Before you set one work boot on the ground, figure out who actually owns the property. Keep track of when you started the work, and when you finished. Have a paper trail. This way, should payment complications arise, you aren’t going to be stuck trying to figure out if you started work on the 15th or the 19th, and whether the property is really owned by Big Burger Barn, BBB Land Development, or Chester’s Chutney that just happens to be leasing to a Big Burger Barn. (2) Don’t wait until the last second to start preparing your lien. You will discover that there’s some information you didn’t collect. You will find out that the property has no street address. You will realize that the paperwork is more confusing than you’d anticipated. You will have 70 other things going on that week, and zero free time to spend on trying to find your answers. As such, if the deadline for filing your lien is October 10, don’t wait until October 8 to start on everything. As GI Joe (should) have said, though: “Knowing is only half the battle”. After all, as previously mentioned, a lien doesn’t just magically appear the minute that the owner or GC decides not to pay. Instead, you have to jump through a few hoops to ensure that those lien rights are preserved, and a few more to actually file the lien. Unfortunately for us all, lien rights vary from state to state. What works in Texas probably won’t work in Georgia (and vice versa). There are, however, a few common documents required at some point by most states. So, for this week’s edition of What You Need To Know About Lien Rights, I’m going to briefly go over some of the things you may need to send in order to preserve your lien rights. Notice to Owner–typically, this document is sent at the very beginning of the job, well before any payment issues have come up. The purpose of the Notice to Owner is exactly what the name would imply–it tells the owner that you are providing labor or materials on the job. 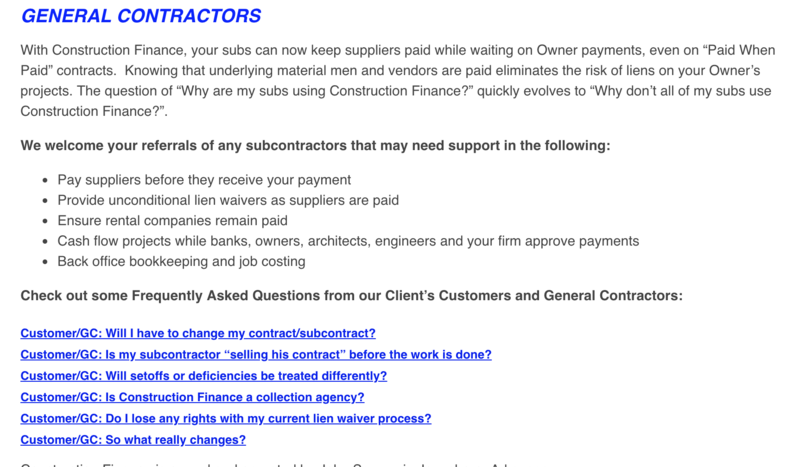 If you’re a subcontractor, that in and of itself is a huge step towards ensuring prompt payment, since the owner may otherwise know nothing about you. By sending this notice, the owner knows you’re on the job, knows you’re going to expect payment, and knows to make sure the GC releases payment to you when appropriate. Not every state requires that you send a Notice to Owner, but regardless, it’s not a bad idea. After all, preventing a payment snafu from happening in the first place will be infinitely less stressful then trying to pursue a lien after you’ve gone two months without payment. Notice of Intent to Lien–this comes up later…it’s what you send to the owner and GC, letting them know that payment is overdue, and if you don’t get paid soon, you’re going to proceed with a lien. Lien deadlines vary greatly by state, but regardless, the Notice of Intent to Lien is something you need to watch out for. In almost every state, the notice must be sent before filing the lien…and sending this does nothing to pause the clock that’s ticking on your lien. So, if your state requires that a lien be filed within 60 days of last providing work on a job, but the Notice of Intent to Lien has to be sent 10 days before that, what it really means is that you have 50 days (instead of 60) to get the ball rolling. Next week, I’ll conclude this series by going over the basics of how you file a lien itself. We deal with lien rights every day, and we’re experienced at making sure every client gets paid every time. While you certainly can handle lien matters on your own, our back office is always happy to help keep things running smoothly, so that you can focus on your real job. In the construction industry, lien rights are one of the key tools to ensuring payment for work completed. However, looking back through our old blog posts, I realized that we’ve left a few crucial details out: Namely, what are lien rights? What do you have to do to protect those lien rights? How do you file a lien? Just knowing that lien rights are a thing doesn’t really help anybody. After all, I know that private jets are thing, but I sure as heck don’t have one. 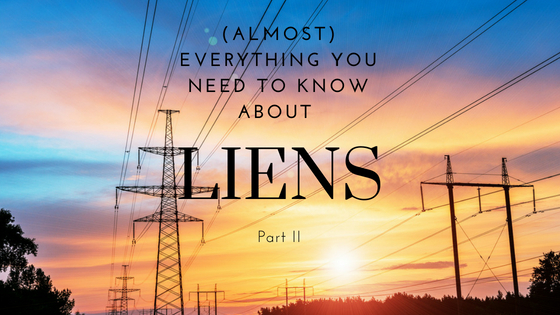 And so, in the interest of making this blog a tad more educational, I think it’s high time we dive right into the key question of “What are liens?”. Specifically, when we talk about lien rights, what we are really referring to is a mechanic’s lien. According the world’s most reliable source (Wikipedia), a mechanic’s lien is ‘a security interest in the title to property for the benefit of those who have supplied labor or materials that improve the property’. In short, if you do the work, and the owner or GC doesn’t pay you, you can gain a security interest in the property. If need be, this can even result in the court ordering the property sold so that you get paid from the proceeds. 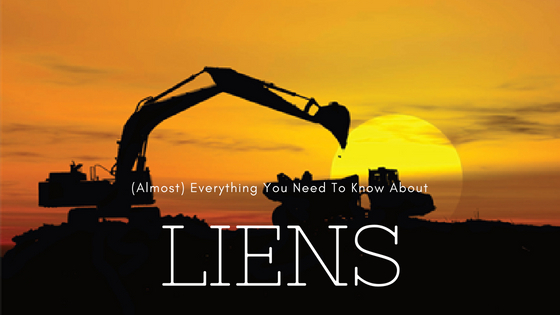 Liens are a big deal. However, in order to be able to exercise these rights, you have to do more than just perform the work. 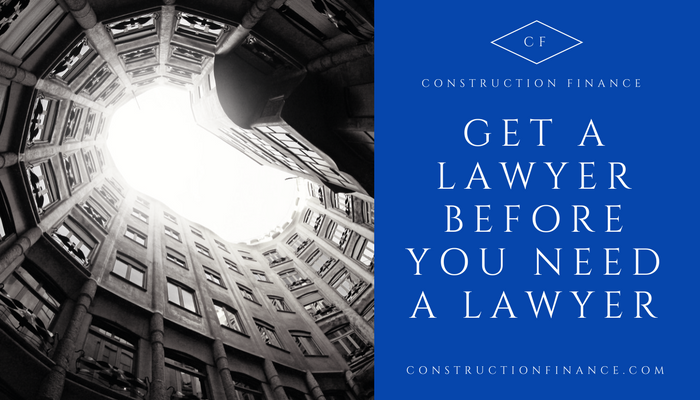 You have to monitor the lien laws for your state, check to ensure that the work you do falls within your state’s statute, send the appropriate notices, and ensure that no deadlines pass. Without all of these steps, your lien rights will quickly disappear, depriving you of one of the construction industry’s most powerful tools for ensuring payment. Tune in (or, perhaps more accurately, read in) next week for a basic overview of the notices required by most states in order to preserve lien rights. As most of you are probably all too aware, we are very much in the dog days of summer right now. As you are also probably aware, this adds another element of risk to your already difficult jobs. Now, odds are, you’ve already read over a few summer safety tips before. However, as both a neurotic lawyer and the wife of a construction company owner who doesn’t know how to listen to me, I’m going to go over a few bits of summer safety again. Because trust me, trips to the ER aren’t great for productivity or your bottom line. I know this is the most obvious piece of advice ever, but seriously, pretend you’re a freakin’ camel. If you feel thirsty, it means you’re already dehydrated, so don’t wait until you’re just dying for a water break to do something about it. And no, Mountain Dew and coffee do not count as staying hydrated. Hot weather is tiring on your body. Hot weather also messes with your circadian rhythm. As such, it’s really easy to fall victim to sleep deprivation during the summer months. When you go home at night, keep your room cool, and don’t stay up all night. I know. I’m sounding like your mom here, but dang it, moms have good advice about these things. 3. If you can, avoid going in and out of air conditioning all day. This one is counterintuitive–if you’re spending 80% of the day out in the hot sun, it feels great to get a ten minute air conditioning break whenever you can. However, going back and forth makes it harder for your body to adjust to the heat, so ultimately, you’re just making the situation worse. Instead, find a shady area to drink some water. That will help you cool off without the drastic temperature change. 4. If you can, cool your head and neck. You have a lot of blood running through these areas, so if they stay cool, you’ll stay cool. All of these summer safety tips are courtesy of ForConstructionPros.com, so to read more, feel free to click on over to 12 Safety Tips to Help Workers Survive Another Nuclear Summer. Otherwise, go sit in the shade and drink some water. 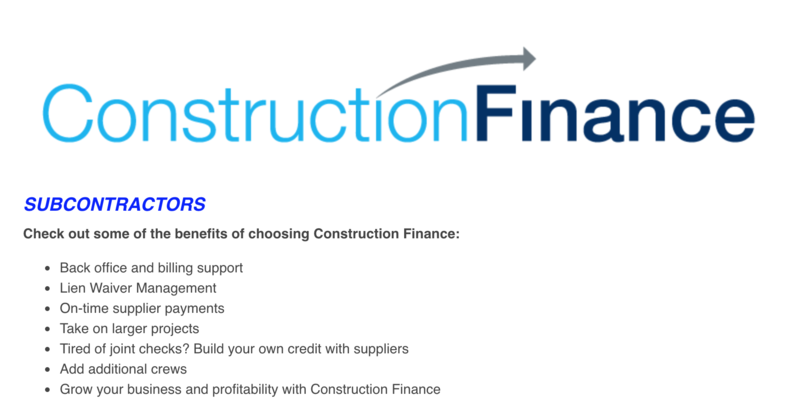 We, at Construction Finance, are now officially famous! Well, John is. The rest of us are still just toiling away in obscurity. But yes, y’all, yesterday John made the brave journey into Little Rock to serve as the keynote speaker for the American Subcontractors Association of Central Arkansas luncheon! That is…easily the closest thing to fame any of us have achieved this month. (The second runner up being the picture of my dinner that I posted to Instagram last week. It got seven whole likes, and six of them weren’t from my mom). In all seriousness, it was a real honor. The American Subcontractors Association is a great organization that does a lot to benefit the construction industry, and we’re always thrilled to work with them in any way that we can. Every month, the Central Arkansas chapter holds a meeting in Little Rock to try to educate the area’s subcontractors about industry trends, and it always provides a great opportunity for everybody to mingle…plus, this is Little Rock we’re talking about. The food is guaranteed good. Though I was not there to personally vouch for either the food or John’s oratory skills, it sounds as though it was a wonderful time! Hopefully, the hard working men and women of central Arkansas left knowing a little more about the financial side of commercial contracting. And, barring that, hopefully John came away a couple of pounds fatter–after all, it’s not easy for me always having to be the token junk food fiend in this office! Actual photo of my desk. Conspicuously absent: Jet skis. A few months ago, I’d written a blog post about the staffing challenges that have come about as a result of the current economic boom. In it, I’d mentioned that, for better or worse, construction is a world unto itself. What Does Increased Economic Growth Mean for Construction Profits? In retrospect, I uh, may have been a little confident in my assessment that hiring and recruiting would go unchanged. While Construction is DEFINITELY different than trying to hire a bunch of CPAs or compliance officers, it seems that the challenges of finding a quality plumber have led some companies to get creative. Reallllllly creative. According to the WSJ, plumbing contractors have now taken to installing craft beer lounges in their offices, offering sweet sign-on bonuses, and taking their employees on mid-day jet ski excursions. Yup. You read that one right. Now, as somebody who is currently sitting in a normal office, drinking a cup of re-heated Folgers as I stare at a spreadsheet, I have reached only one conclusion from this article: I should have been a plumber. I mean, jet skis are awesome. Way more awesome than re-heated coffee (a low bar if ever there was one). So, to those of you out there who aren’t reading this, because you’re too busy relaxing at the lake and spending your bonuses, congratulations! To those of you having to pay someone to go to the lake, my regards. And to the rest of us? 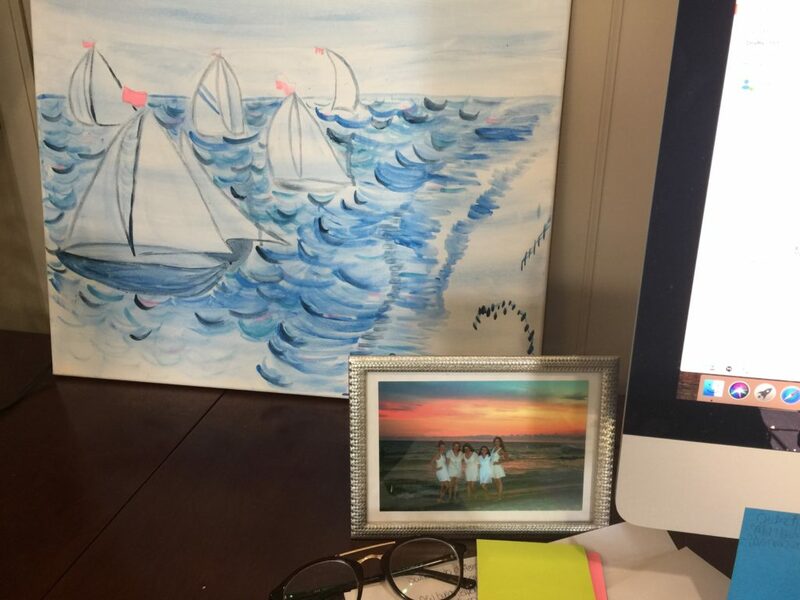 Meh, pictures of boats and beaches are almost the same thing, right? Right? Send us your construction referrals today! 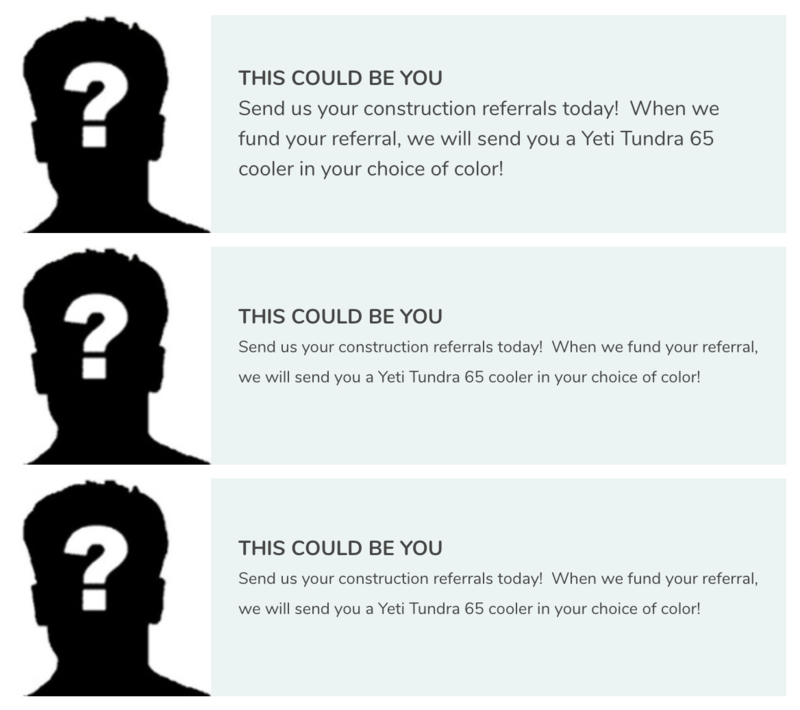 When we fund your referral, we will send you a Yeti Tundra 65 cooler in your choice of color! Yeti coolers are at home on the dock, at the ranch, in the blind, or on the boat, and the Tundra® 65 is no exception. It’s the most versatile cooler, just as adept at keeping your catches cold in the field as it is storing the drinks and food for your backyard barbecue. This ice chest is plenty roomy and can hold a limit of redfish or your prized brisket without breaking a sweat. 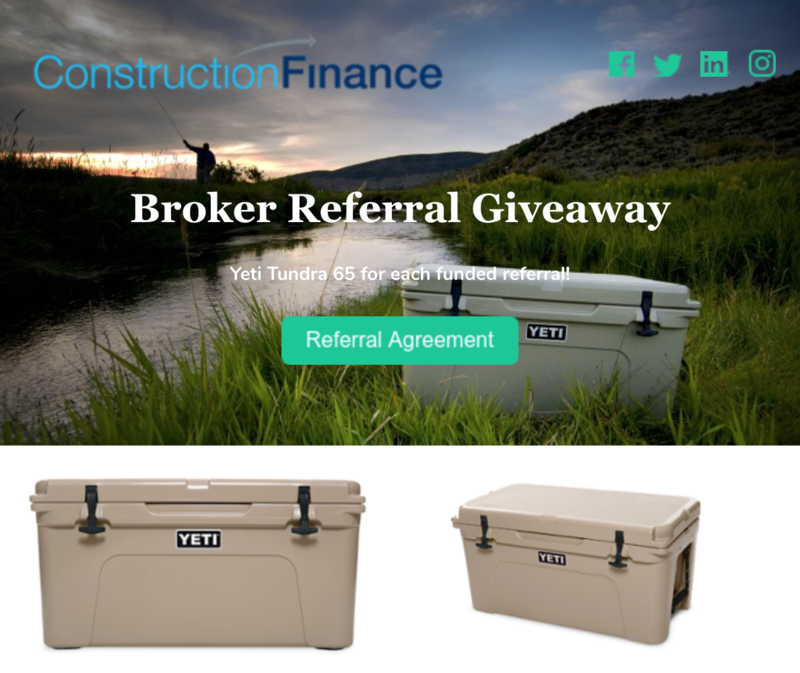 1 Yeti Tundra 65 in your choice of white, desert tan or ice blue when you send us a referral that we fund. Only 3 to give away! 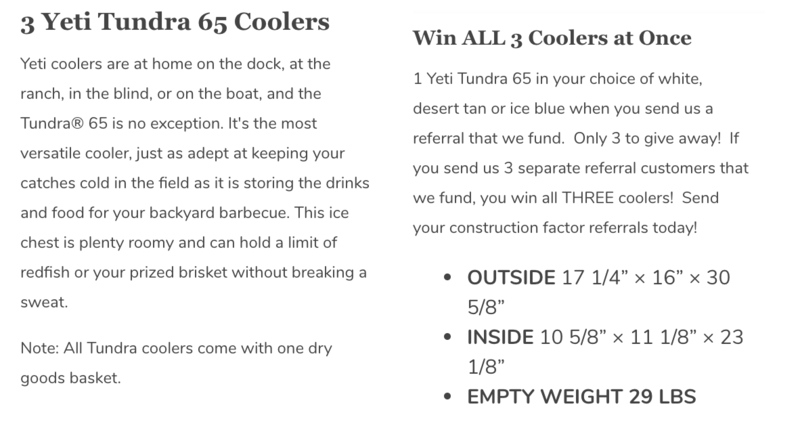 If you send us 3 separate referral customers that we fund, you win all THREE coolers! Send your construction factor referrals today! First of all, I would like to give a big thanks to the IFA and all of those that made the 2018 Miami conference such a huge success! It’s okay to admit that many of us went to Miami to learn the secret recipe of factoring. There was one hotel guest that must have possessed this Easy Button. Clue: he has teeth coated in diamonds. Of course, I am talking about Lil’ Wayne, the star of the Friday night concert in the LIV nightclub of the Fountainbleau. After googling Lil’ Wayne’s net worth of approximately $150 mil, I asked myself, “How can this guy make so much dough with a vocabulary full of 4-Letter Words?”. Clearly, this guy has a way bigger Easy Button than mine. As it turns out, I, unfortunately, do not have an Easy Button. I do, however, have one four letter word that fixes almost everything: WORK. After visiting with several factors, bankers, and various other experts in the field, my suspicions were confirmed. It turns out that the secret to successful construction factoring is that four letter word that makes everybody cringe. Items such as UCC filings, Notice of Assignment, verifications, and estoppels are great. But when it comes to purchasing a construction receivable, these items mean that the work has only just begun. Are all suppliers and crews paid? Are lien waivers collected? Are the client’s lien rights preserved? etc, etc, etc. 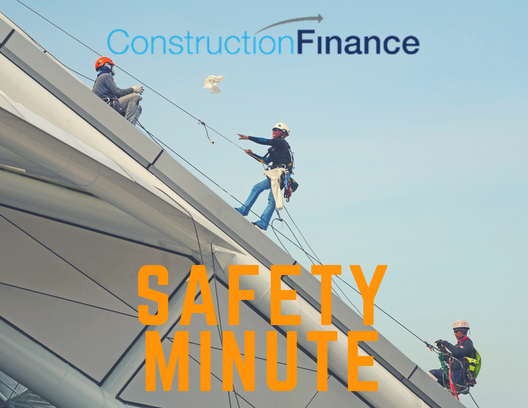 There may not be an Easy Button for the Construction Factoring industry. But, here at Construction Finance, we are ready to do all of the heavy lifting for your referrals. We look forward to doing the WORK of funding your construction leads! Call or email anytime to learn if our program fits your prospect’s needs. Are you tired of turning down construction clients because they tend to be too complicated or messy? We have over 20 years experience in the construction business coupled with over 30 years in invoice finance. 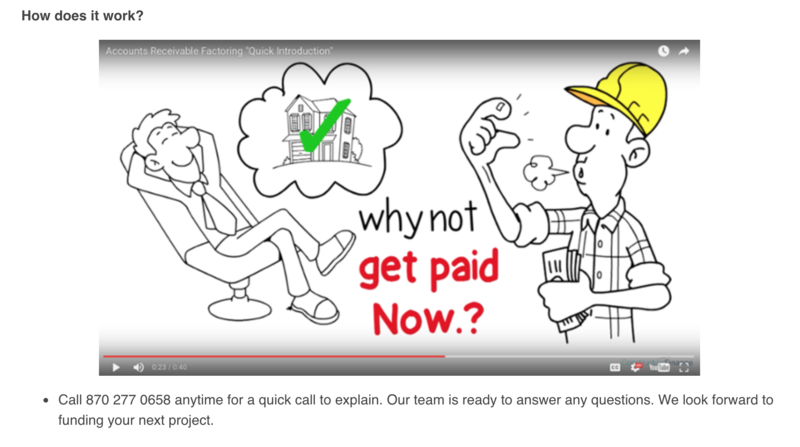 We personally fund 100% of our clients and are committed to providing your referrad prospects with quick responses. Ask anyone you know, and they’ll all agree: Lawyers are the worst! Heck, I am a lawyer, and I’m not going to argue that one! They’re expensive. They take up time. They wear stupid looking suits and speak in terms that nobody understands. They are, in short, not the guys (or ladies) anybody feels like hanging out with on a Tuesday afternoon! In short, construction contracts are complicated, and the stakes are high! If you don’t know what to watch out for, there are a lot of harmless sounding sentences that could end up costing you hundreds of thousands of dollars. There are also a lot of scary sounding sentences that are actually pretty harmless…or at least unenforceable. It may be tempting to skip that meeting with the stuffy guy in the stuffy suit, but particularly if you’re looking at a “make or break” contract, it’s worthwhile to get a second set of eyes on everything. Nobody wants to spend several hundred dollars and an hour of their life in a lawyer’s office, but a little time and money now can save you a lot of grief down the road!